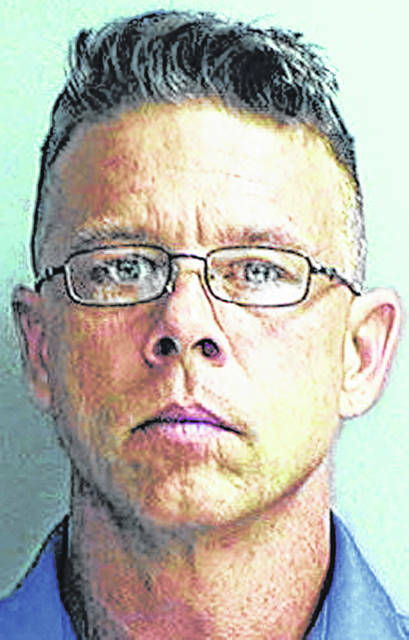 A Clinton County man received a nine-month prison term for making steroids at home to sell. Steven L. Ross Jr., 46, of the New Vienna area, was taught by someone with bodybuilding connections how to “brew” steroids and who offered him a cut of the profits, according to Ross’ Dayton attorney, Alan D. Gabel. A July 2017 affidavit written by law enforcement at the time of the arrest states Ross told officers of his personal steroid use and that he began producing steroids for purchase by others as his family was experiencing financial difficulties. Many letters of support for Ross, speaking of his helpfulness to family and friends, were sent to the sentencing judge. But Clinton County Common Pleas Judge John W. “Tim” Rudduck stated the defendant had not overcome a legal presumption for prison under the illegal manufacture of drugs conviction. “Character witnesses attest to the positive attributes of defendant, and there appear to be many. But the court is not judging character. The court is judging criminal activity,” Rudduck wrote in his sentencing entry. However, the judge said those same positive factors would be considered in determining the level of punishment in the case. The maximum prison term for the illegal manufacturing conviction is 36 months. Rudduck added that given the defendant’s life history, the court later might favorably consider a request for an early release from prison, while noting there is no guarantee the request would be granted. Ross must pay a $5,000 fine, which is a mandatory fine under the illegal manufacturing verdict. The defense attorney stated that a disk in Ross’ back was damaged while Ross was working in 2016 riding a mower. The injury kept him from continuing his normal work schedule, and because he was an independent contractor, unemployment compensation was not available to him. Ross had no prior adult criminal record. He independently engaged with Talbert House and sought treatment for his drug problem and has completed outpatient treatment, Gabel wrote in a pre-sentencing memo.